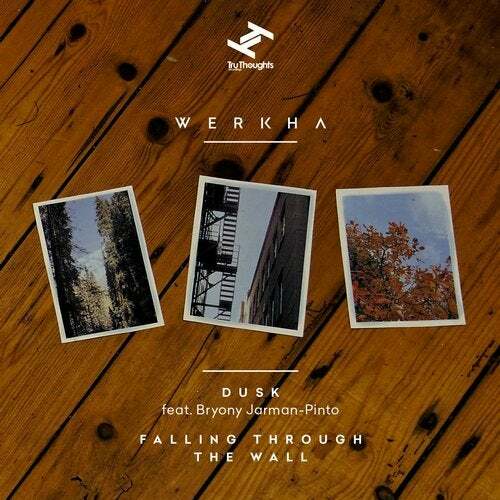 Dusk is the first single from rising Manchester based producer Werkha s June debut album Colours Of A Red Brick Raft , unveiling two striking upfront tracks from the LP. The launch of his debut full-length record builds on a landmark 2014 for the young producer and multi-instrumentalist which saw his Beacons EP championed by the likes of Gilles Peterson, Monki, Rob da Bank and more besides. With his mesmerising live outfit gaining ever more attention, Werkha was also handpicked to play Mr Scruff s album launch and to support Bonobo and Chet Faker on international tours. A crisp snapshot of a twilight scene, Dusk is a beautifully evocative and memorable song that sees Leah continuing his ever-evolving creative partnership with lifelong friend Bryony Jarman-Pinto. The clear and pristine, jazz-inflected vocals of this star in-the-making intertwine with a strolling bassline and cinematic strings to emotive effect. The second track to make its debut on this single is Falling Through The Wall , a worldly electronic instrumental cut inspired in part by the spiritual jazz side of the groundbreaking LA scene, and elements of Flying Lotus Los Angeles album in particular, and combining a playful bassline with serious deep house-inflected club beats. This single gives a taste of the beauty and variety to be found on the album, a record on which the excitement and personal and artistic development of recent years are palpably present. I have always had a mix of inspirations, but all this movement and exposure to different environments helped me accept and embrace the idea of having lots of different styles on the album, and find a way to channel them , says Leah; I basically realised: albums should be as fun and as engaging as travels are.